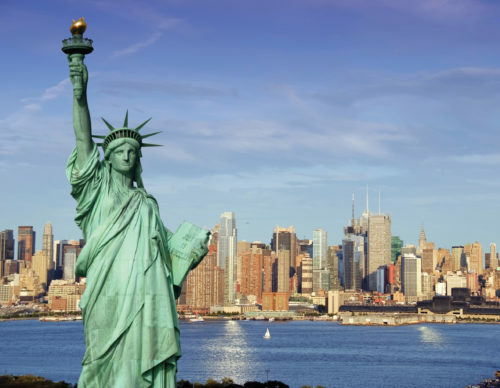 Statue of Liberty is located in Hudson River in New York Harbor. 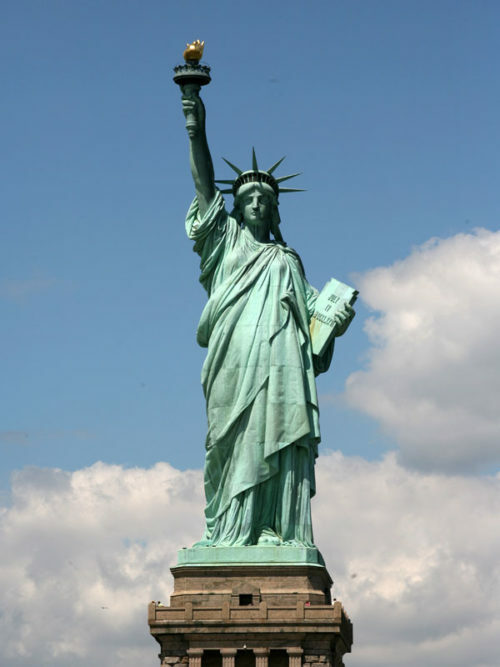 That actually is a gift from France government as a symbol of friendship in the last of 19th century to the USA. The statue of Liberty is also a symbol for welcoming the immigrants and also American who return to America. The gift was presented exactly on the 100th of America Independence Day. 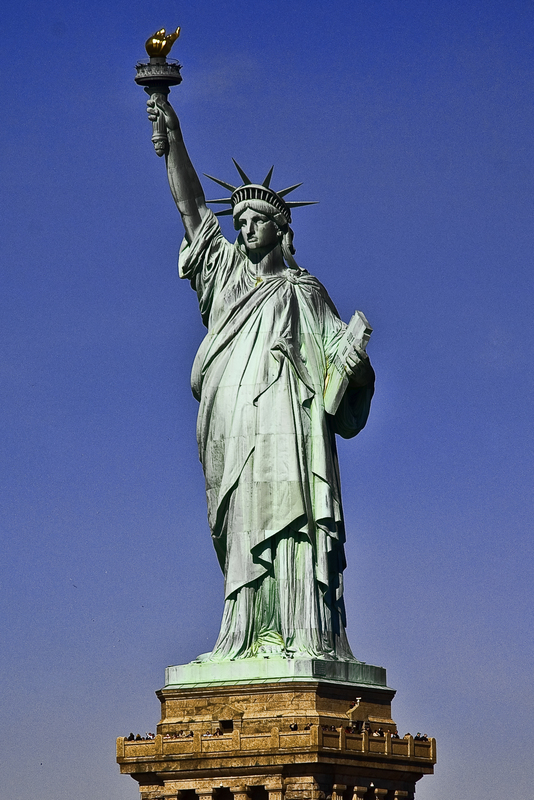 That was made by Frederic Auguste Bartholdi and the Eiffel Tower’s designer, Gustave Eiffel. 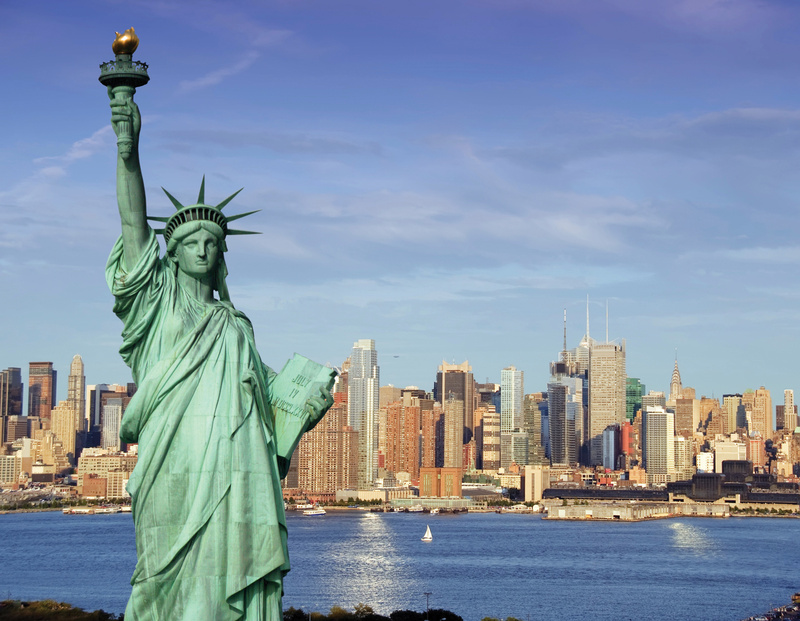 The statue height is 305 feet or 93 meters without its base. Statue of Liberty is also on UNESCO World heritage list. To reach in there, you must cross the river using ferry either from Liberty State Park in New Jersey, Battery Park in Manhattan or from Ellis Island. The ferries service is available every one hour from 9.00 A.M. until 4.00 P.M. 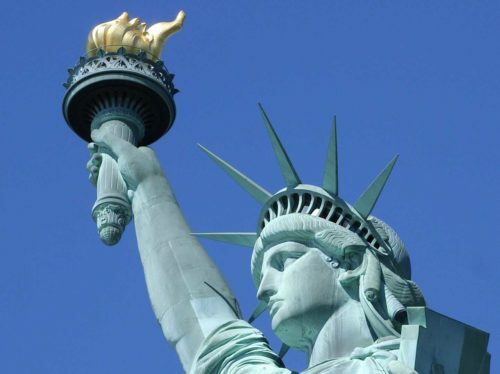 It takes only 15 to 45 minutes to reach the Liberty Island. For ticket and timing confirmation go directly to Statue Cruises website and book your tickets online. 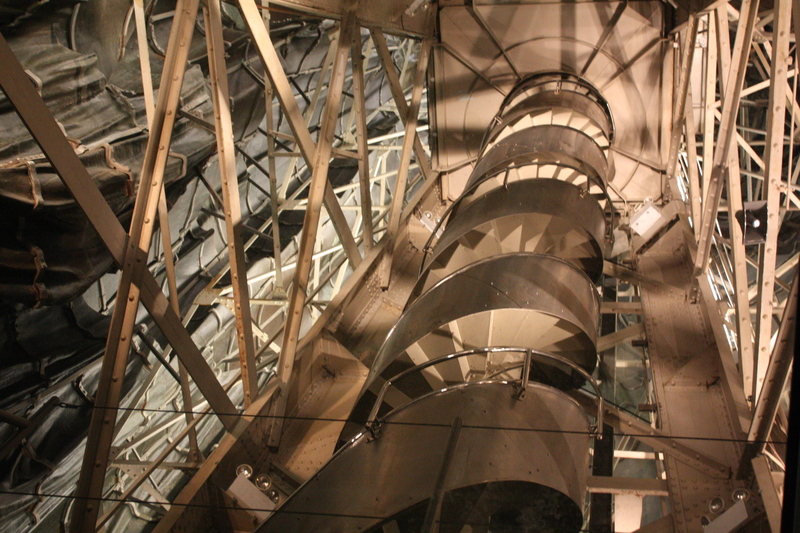 There is no entrance fee but if you want to go up you must have a special ticket. The ticket must be booked few days before your arrival at Statue of Liberty. 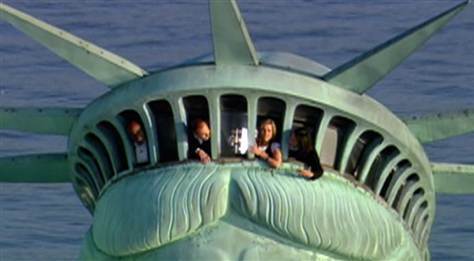 Otherwise, you will not find any ticket, as more than 240 visitors per day visit the Statue of Liberty. Never dream to reach the top without any prior reservation. Its better to open National park Service website and you will get complete information on how and when to book your tickets. 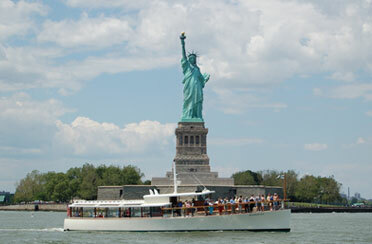 Once you arrived at Liberty Island, the official will make a group and each group consists of 10 people. You are allowed to bring camera only inside the museum (there is a museum under the statue) and the tower. You can also keep your things (that allowed) inside the lockers provided. 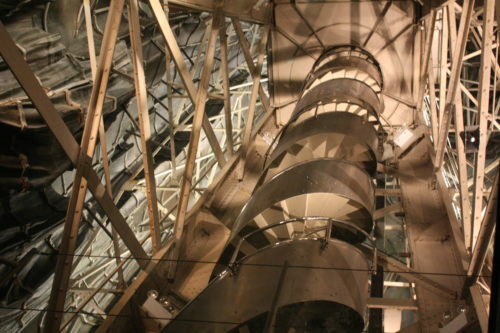 The Statue of Liberty has 354 stairs. 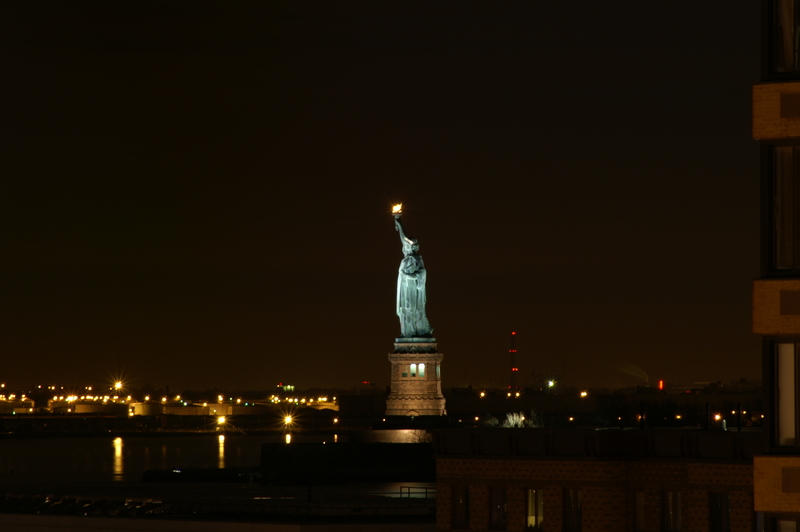 You can go up to the Liberty’s crown that has 25 windows that offers a stunning view of New York Harbor port and other beautiful vistas. 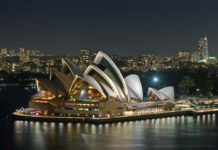 Previously, the visitors can go to the torch, but maybe for safety concern, visitors have not been allowed anymore since 1916. 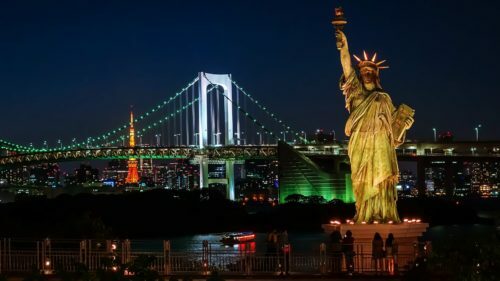 The view of Statue is really amazing at night on Liberty Island, If you come here in evening than you can enjoy the night view with full of lights. 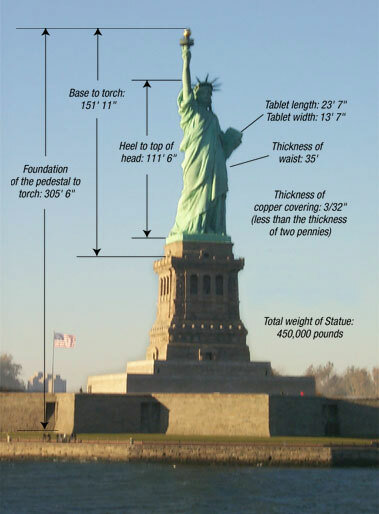 Click on the image above and see in detail the height of each segment of statue of Liberty, like the base, torch and head. 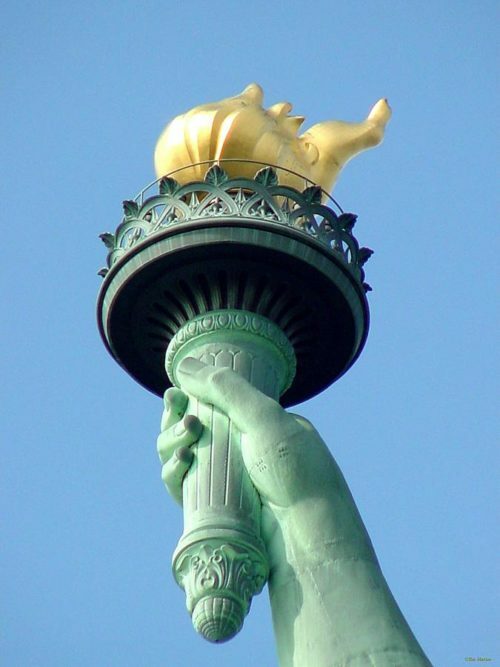 The torch in lady statue hand is really amazing, its represent the old time when people using such torches for go through the dark.